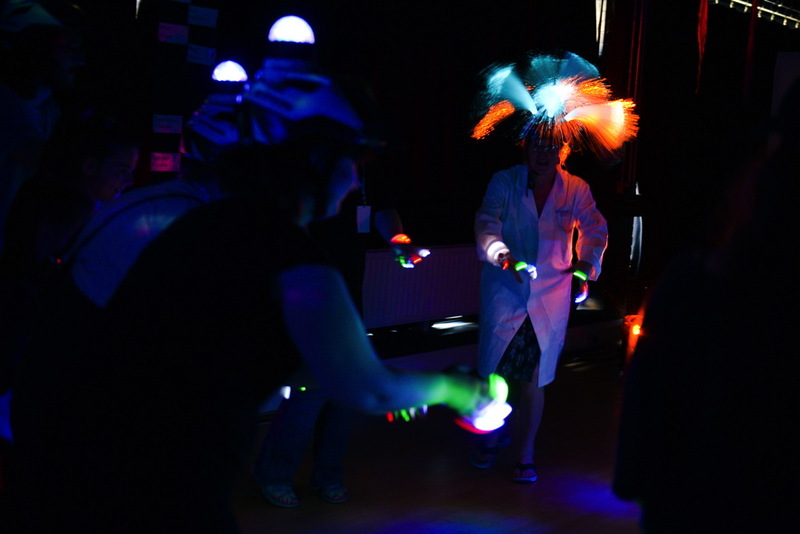 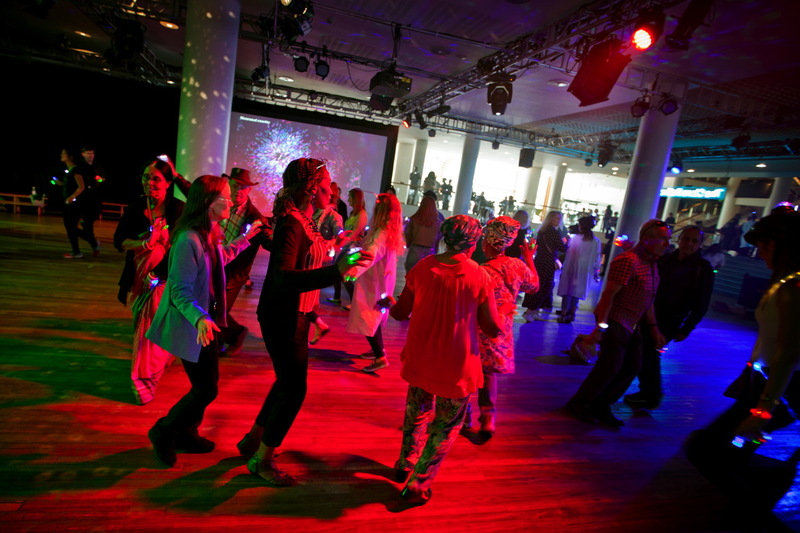 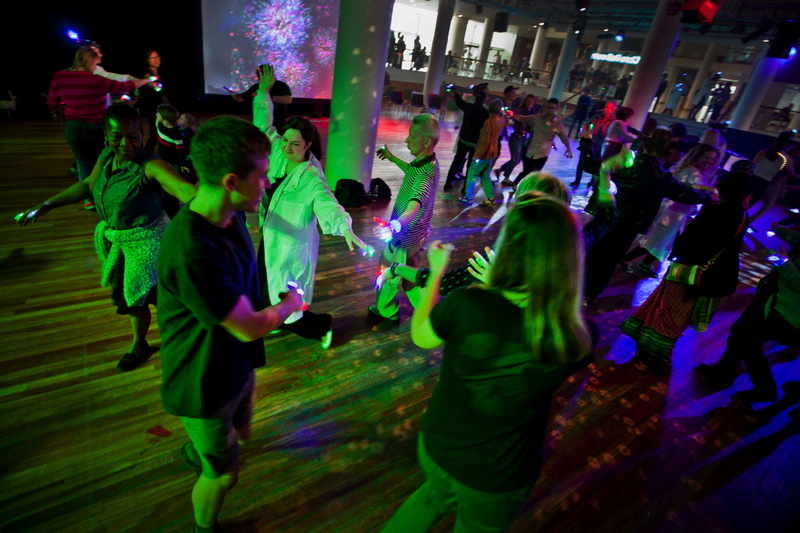 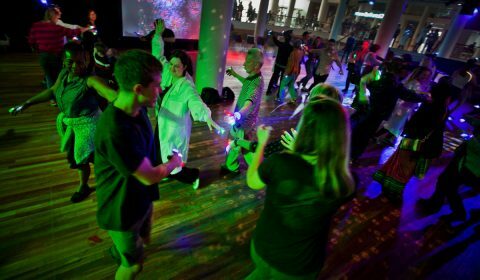 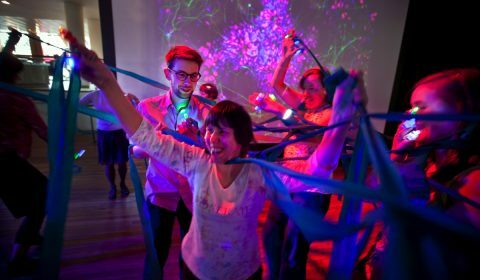 The Neuronal Disco : is a participatory dance workshop developed by Charlie Murphy and Dr Selina Wray which invites audiences to animate the development of brain cells and the networks between them – through a series of choreographed movements to well-known pop songs. 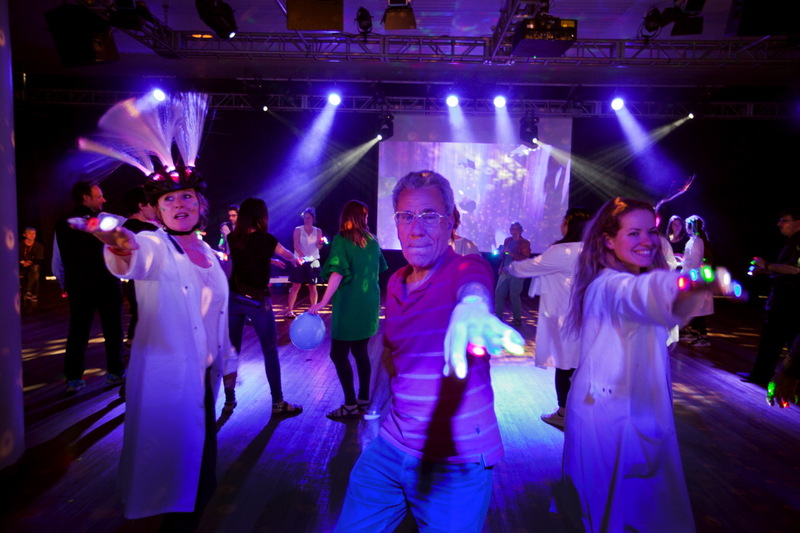 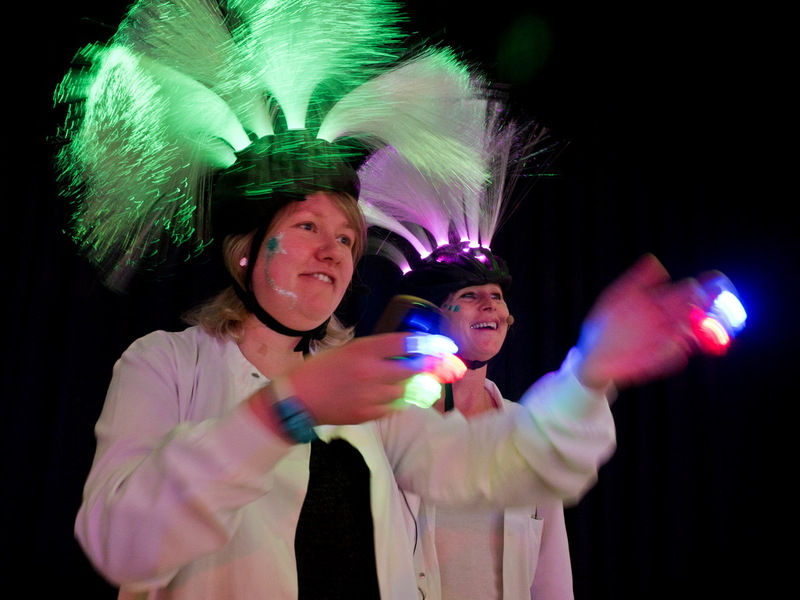 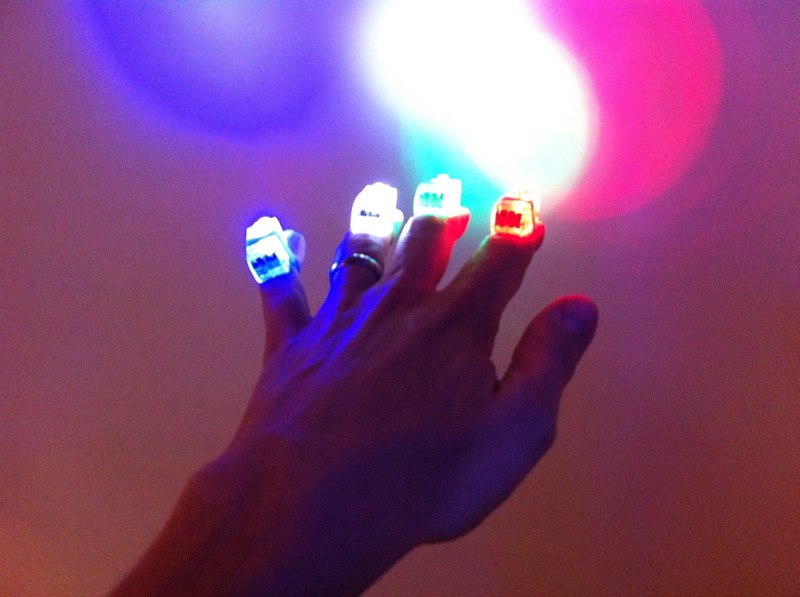 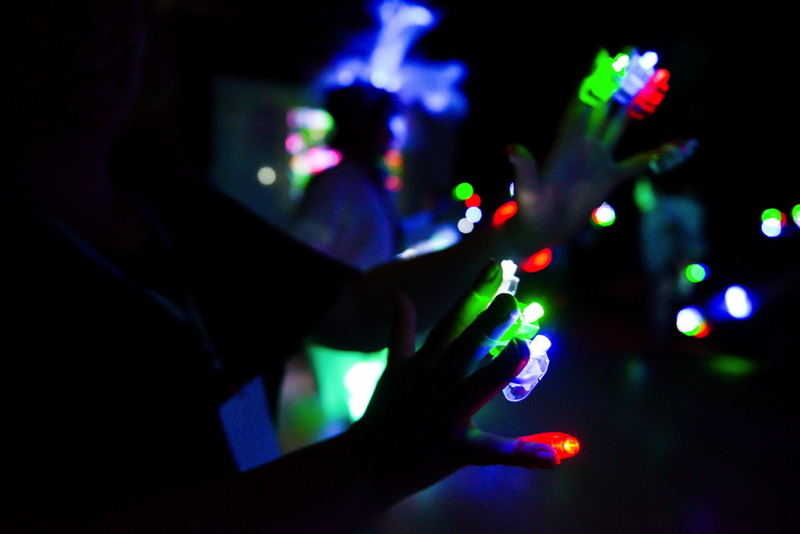 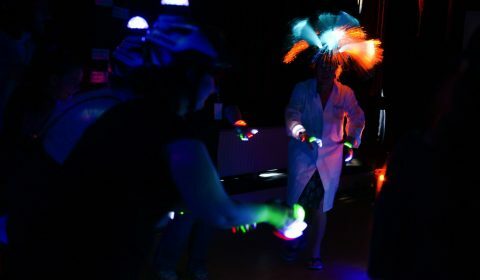 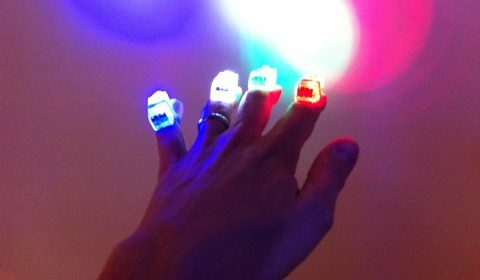 Patterns and formations of neuronal growth, connection, communication and degeneration are celebrated through different dance groupings and wearable technologies- bringing disco dancing into the heart of molecular neurochemistry. 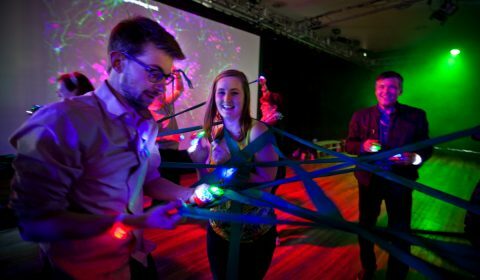 This accessable, exuberent event offers unique insights into the workings of the brain and the impacts of different kinds of dementias on a cellular level. 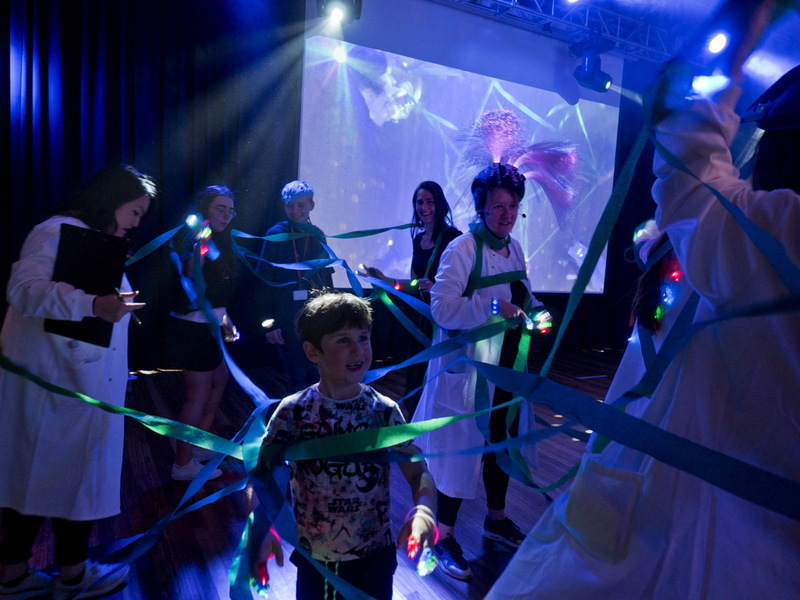 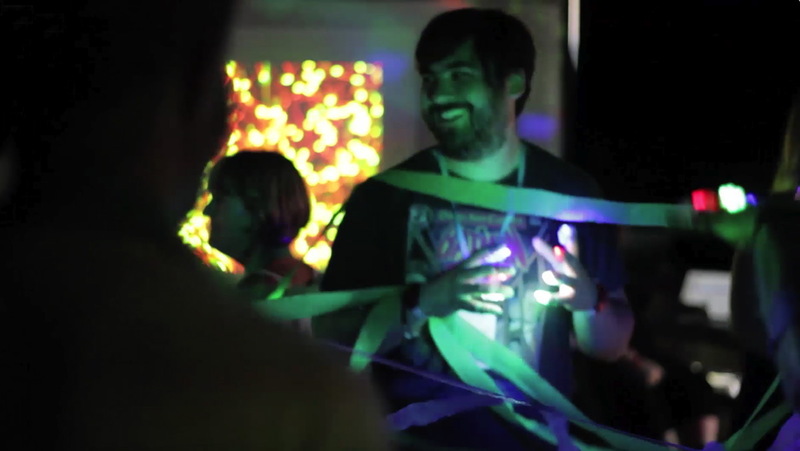 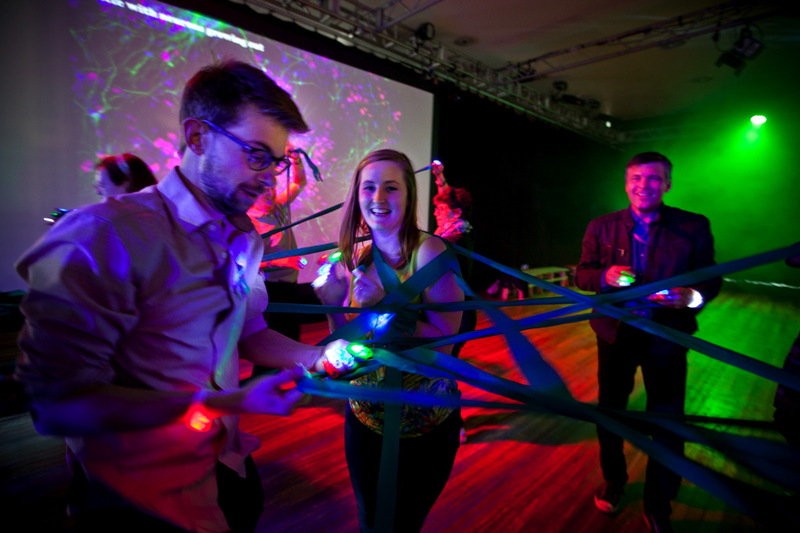 Inspired by leading research and wet biology processes currently being used to try to understand the behaviours and progressions dementias on a cellular level – this disco invites different audiences to learn about, perform and animate the molecular behaviours and scientific principles used in Dr Wrays’s research –and to consider the connections, functions and connections within their own brains and those affected by different kinds of dementias. 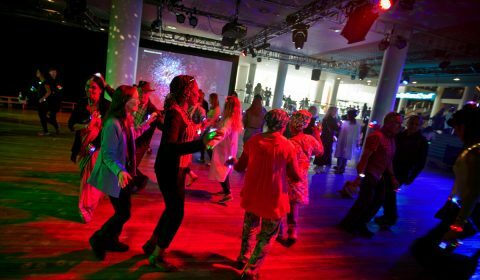 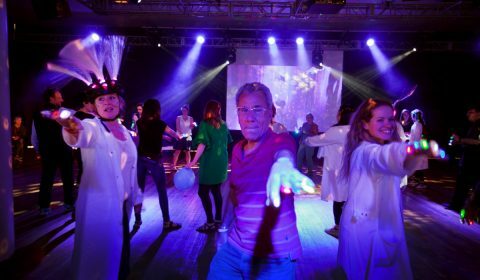 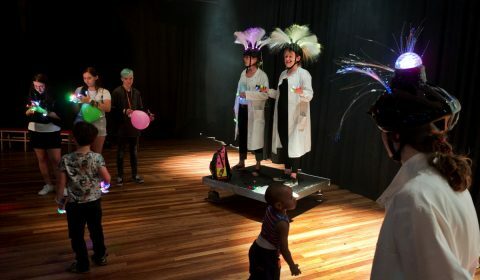 Immersive participatory events for adults and families have been enthusiastically received at London’s Southbank Centre’s B(old) Festival (May 2018) and Folkestone’s Normal? 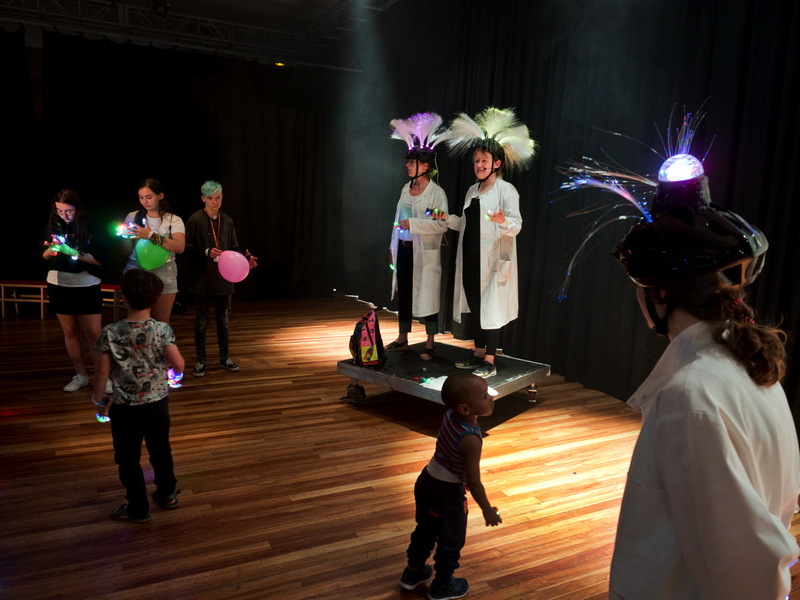 Festival of the Brain (May 2017) . 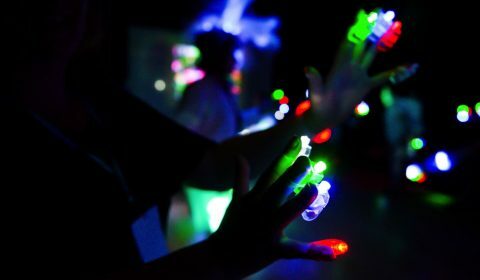 Opportunities for further development and presentations of this work are sought to expand and upscale the ideas already successfully trialed. 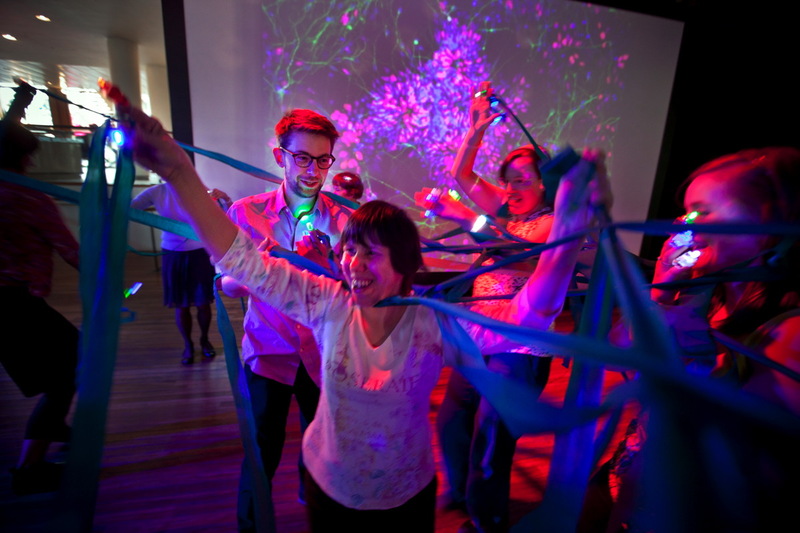 The Neuronal Disco is part of ‘Brains in a Dish’ – an interdisciplinary research project for Created Out of Mind. 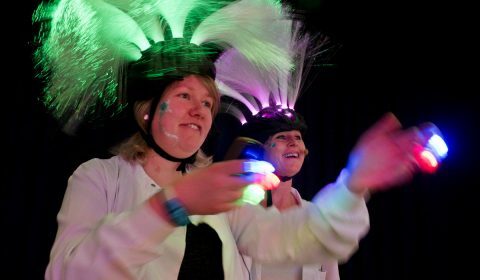 Supported by Wellcome. 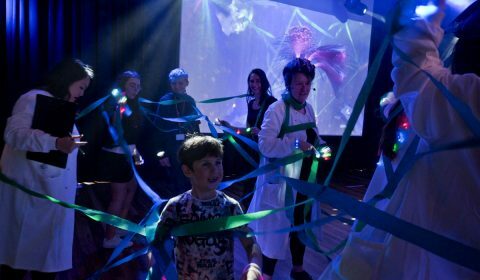 Their projects aim to explore, challenge and shape perceptions of dementias through science and the arts. 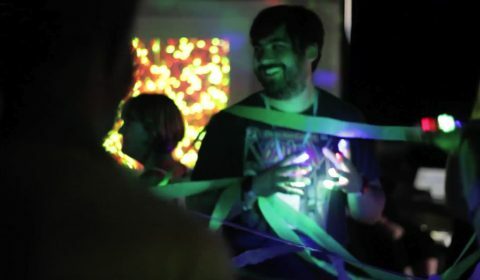 For more info see Created Out of Mind.